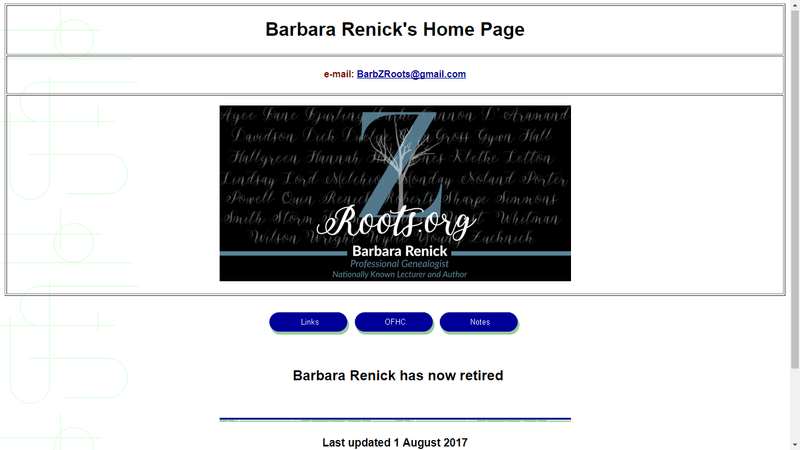 I received an email from longtime professional Southern California genealogist Barbara Renick several days ago - she noted that she has retired due to health issues, and that her www.ZRoots.com website (don't click on that!) domain name had lapsed, and has been "bought" by someone else selling fitness stuff. 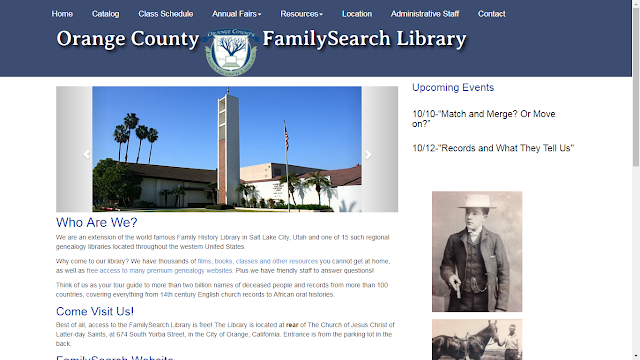 The text content on her front page is still there, but there is no real genealogy content. 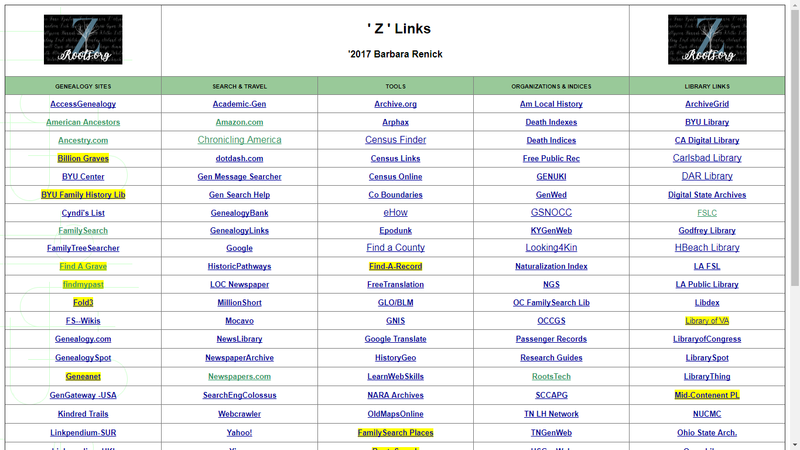 Barbara decided to try to keep her genealogy web material going, especially her ZRoots Links page. She has a new URL: www.ZRoots.org. Add that, or correct it, to your own links page. 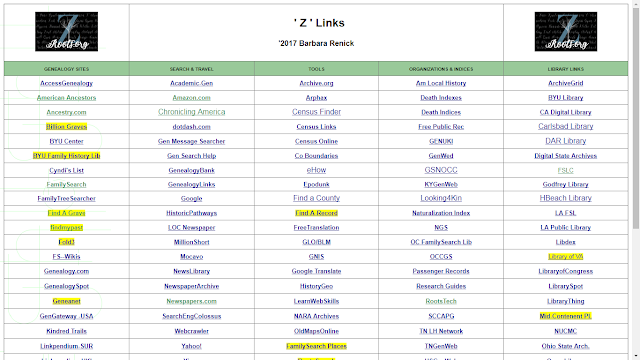 The third link on the home page is for several of herlectures at BYU and NGS that Barbara has archived. I'm sorry to hear that Barbara has retired, but am glad that she is doing well and that her website has been restored to some extent. I saw Barbara at last year's Jamboree in Burbank, and she looked well. She has been competing in roller skating and dance contests and doing well.